People who run regularly require good shoes; with the high quality of Nike running shoes and the great choice for individual needs you´re sure to find something perfect at Keller Sports. Comfortable fit, high quality material, a solid grip and the correct damping and suspension provide great workouts that don´t result in painful joints, blisters or athlete´s foot. Nike running and sports shoes provide a completely new running experience. Choosing the right running equipment starts with the right Nike running shoes that should be chosen depending on comfort and weather-suitability and to finish off your shopping check out our choice of Nike running accessories for extra comfort or training control. As for the running shoes, the leg and foot shape should be especially taken into account, as well as any special features that depends on the body weight and the shoe size; at the same time the shoe must be selected for the specific running sport: when trekking firm grip in the shoe is important, when jogging however, a good damping according to the body requirements of the wearer is essential to cushion the shocks to the joints and to avoid pain and injuries. Breathable materials are important in all running sports to avoid the accumulation of heat and draw perspiration away from the skin without letting water in from the outside. All these requirements are met by Nike running shoes, which are also designed to be beautiful. Running clothing is equally important when it comes to running sports and should be chosen wisely. It should be breathable and warm, without the danger of overheating the body with thick materials. Water-repellent running clothing is also available from Nike for athletes who will not let the rain stop their training. With the Nike running products in the Keller Sports online shop you can rely on making optimal choice that suits your needs, as the high quality of Nike running products is hard to beat and will enhance your training tremendously. 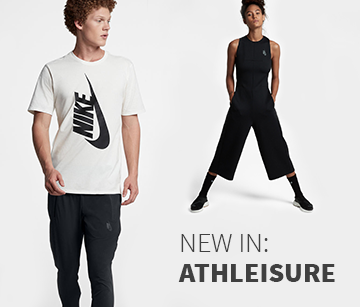 In the Nike running store section of the Keller Sports online shop you can find the right running shoes and optimal running clothing as well as quality accessories for endurance and competition training: from running backpacks and belts to Nike running sports watches to monitor running time and speed. All these are little extras that make a Nike running workout a great sporting experience. At Keller Sports you buy products from the Nike running range at great prices online. When choosing a product, you can use the KSPME ®, the Keller Sports Product Matching Engine, as your first point of reference, accompanied by our team of expert sports consultants who will gladly answer any specific questions you may have. Our consultants have first-hand experience with Nike running products, as well as great experience in the sporting world in general ? they can advise you on practically any matter concerning tennis, running or fitness and will give you great feedback concerning your choice of running equipment.